Half-Sister to Queen Delta (2011.f. 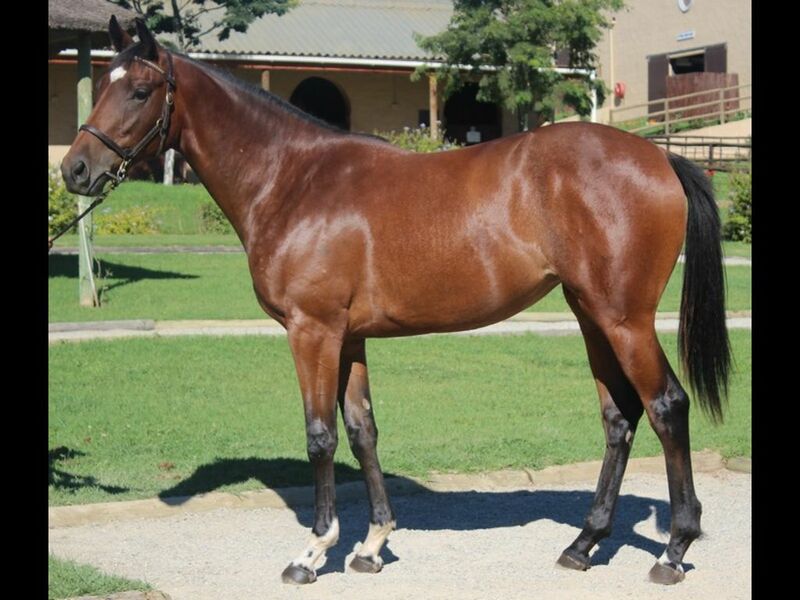 by Fort Wood-Rakara, by Rakeen-Plastic Lady) - 3rd Greyville Kidzone H.
Half-Sister to Roy's Rakara (2012.f. 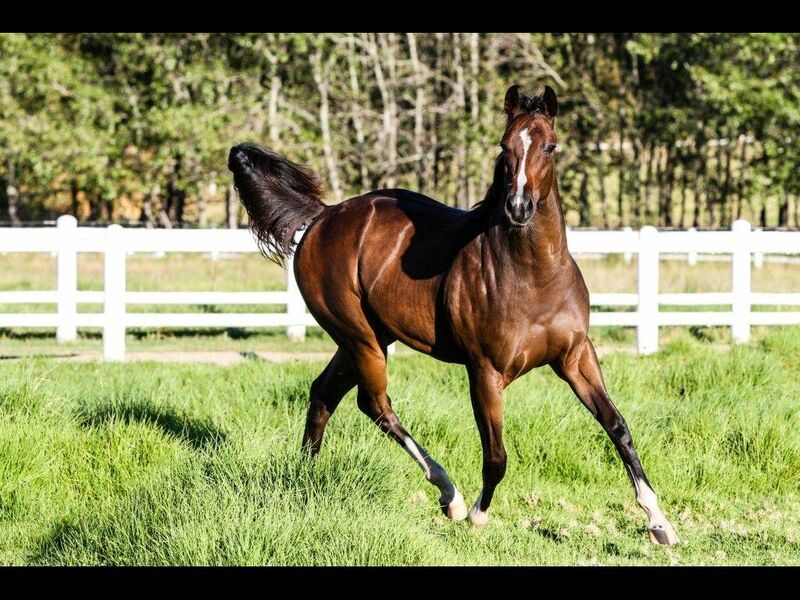 by Horse Chestnut-Rakara, by Rakeen-Plastic Lady) - 1st Greyville Download the SA Racing App Maiden P.
Half-Brother to Frederick Fox (2011.c. 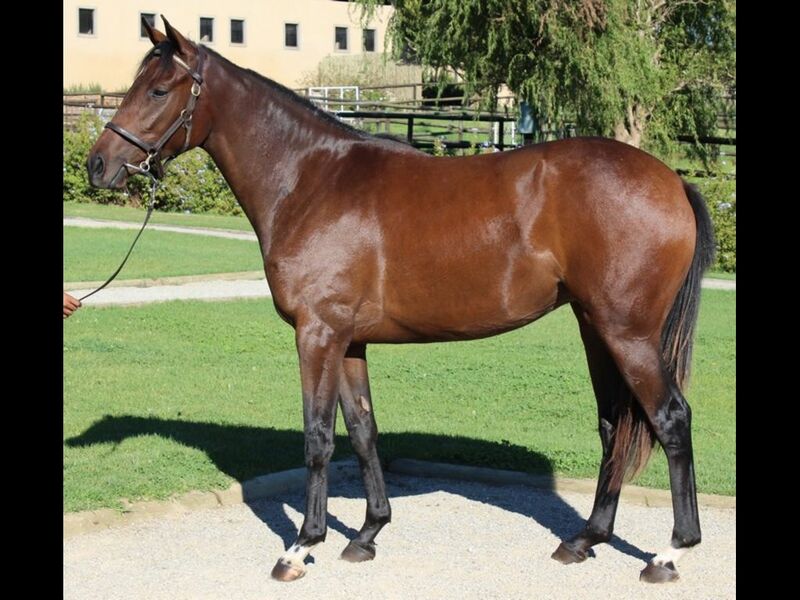 by Stage Call-Royal Fox, by Dominion Royale-Foxem) - 2nd Fairview Racing Association H.
Out of a sibling to Rhythmical Reply (2013.c. by A. P. Answer-Running Rhythm, by Jallad-Nowhere to Run) - 1st Borrowdale Pin Turn Maiden Juvenile P.
Half-Brother to What a Scorcher (2012.c. 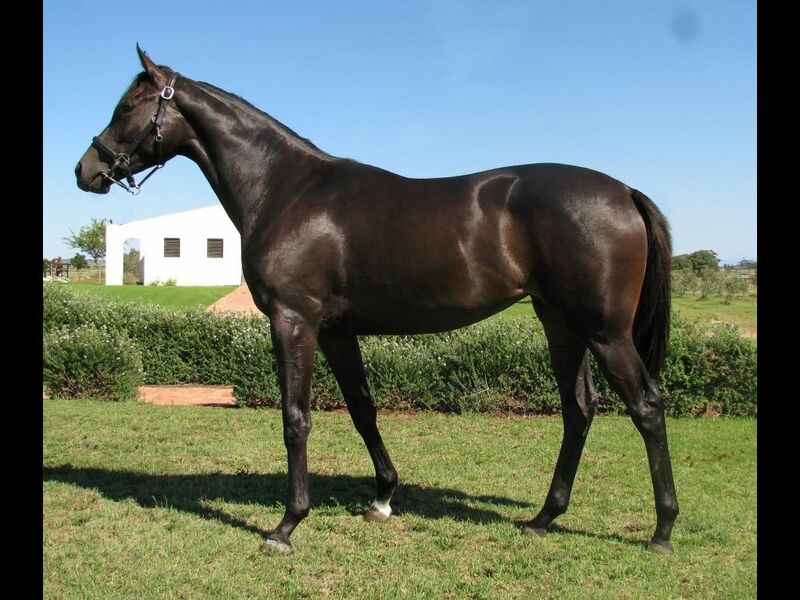 by St. Petersburg-Scorching, by Dominion Royale-Hot Grass) - 3rd Greyville Cool Ideas Maiden P.
Half-Sister to Burra Boy (2011.c. 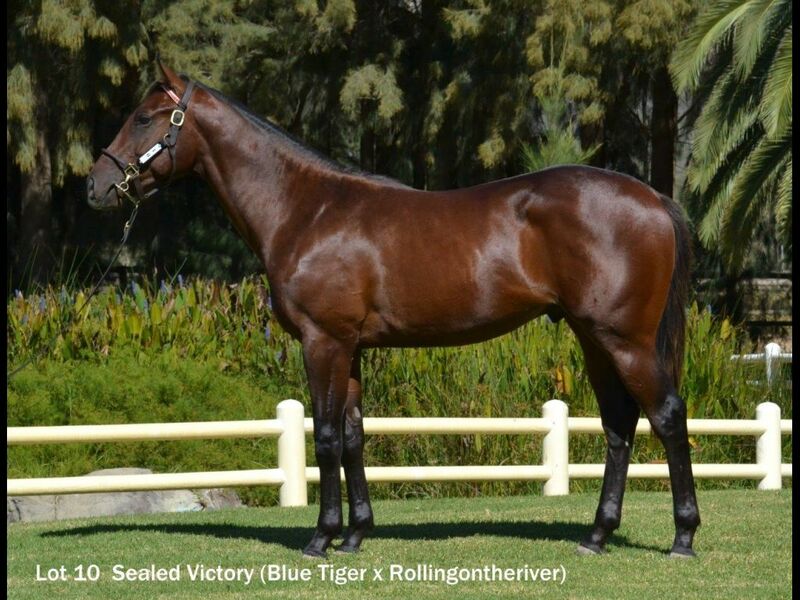 by Tiger Dance-Selika, by National Emblem-Nadyiah Kur) - 2nd Greyville Track and Ball Gaming H.
Closely related to Rafeef (2012.c. 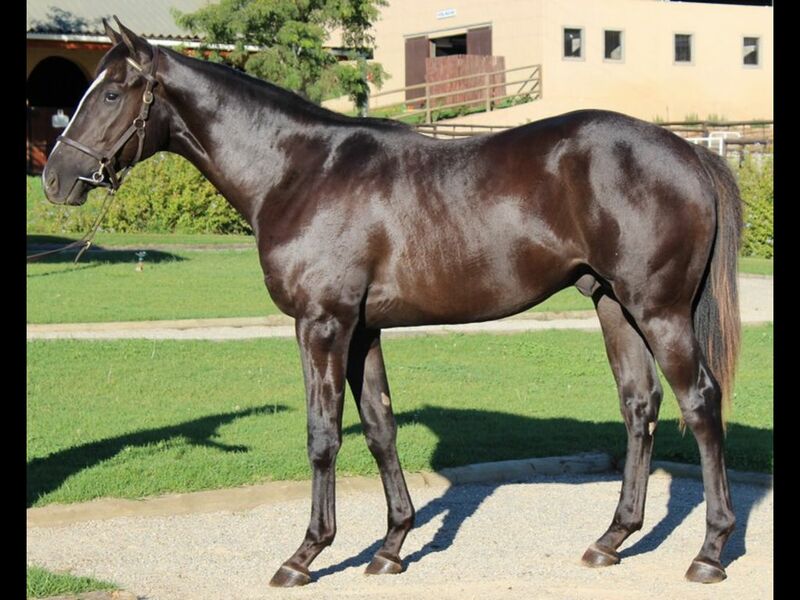 by Redoute's Choice-National Colour, by National Assembly-Rainbow Cake) - 1st Vaal Classic Day 02 April Maiden P.
Half-Brother to The Boxster (2013.c. 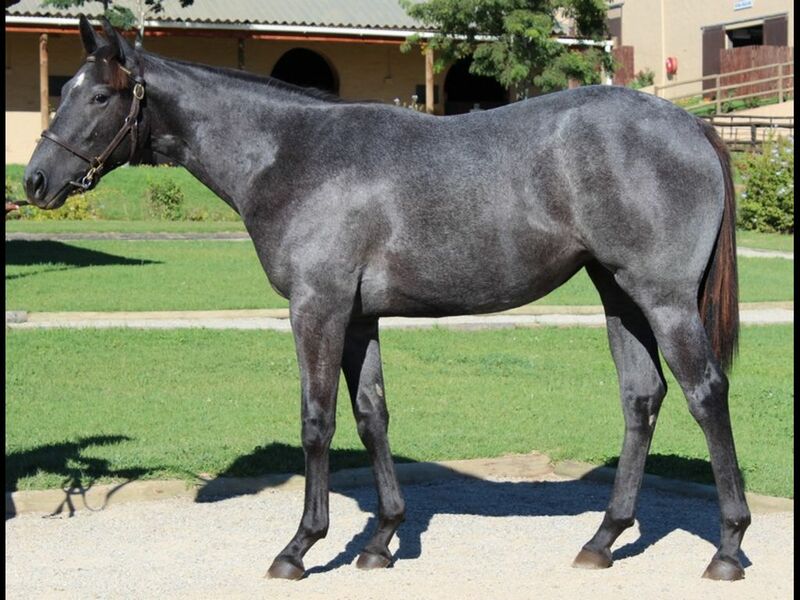 by Rebel King-Silver Secret, by Fard-Highlyconfidential) - 3rd Greyville Play the Bipot Maiden Juvenile P.
From the same family as Bishop's Bounty (2013.c. 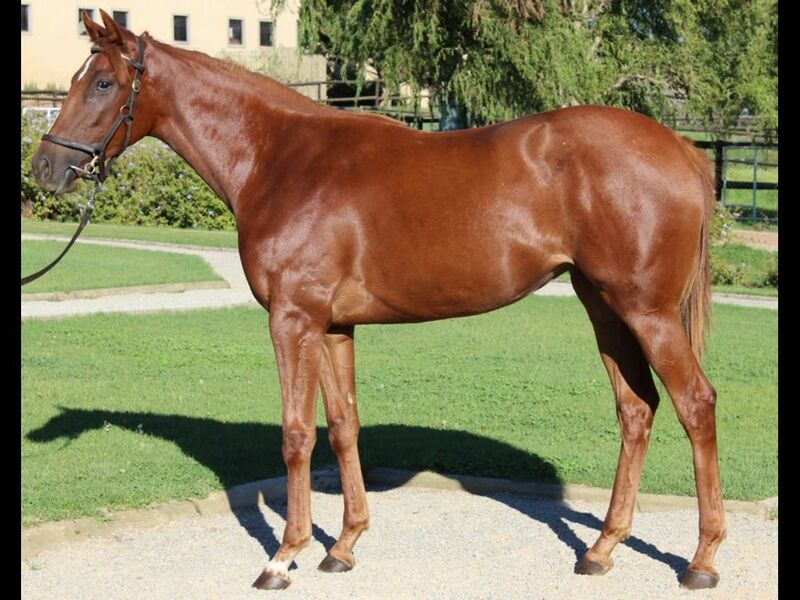 by Western Winter-Nacarat, by Pas de Quoi-Tawny Red) - 1st Kenilworth Maiden Juvenile P.
From the same family as Platinum Express (2012.f. 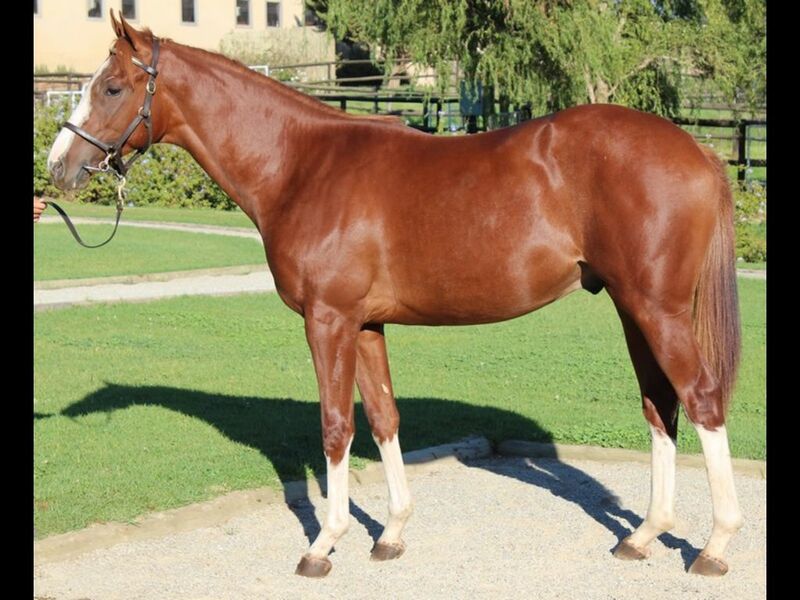 by Showcasing-My Other Woman, by Fusaichi Pegasus-Burst) - 1st Marton JC Agricom H.
Half-Sister to Fortissima (2012.f. by Fort Wood-Synchronize, by Al Mufti-Lady Blakeney) - 1st Turffontein Champions Day 30 April Maiden P.
Closely related to Finchatton (2011.c. 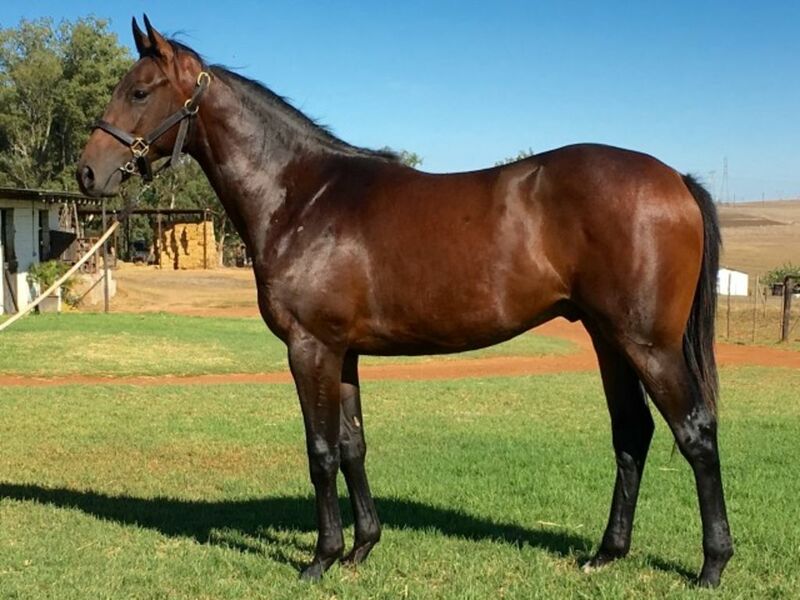 by Right Approach-Rose Lipped Maiden, by Fort Wood-Lady Blakeney) - 1st Turffontein Brooks Running Footwear and Apparel H.
Half-Brother to Tayaar (2012.c. 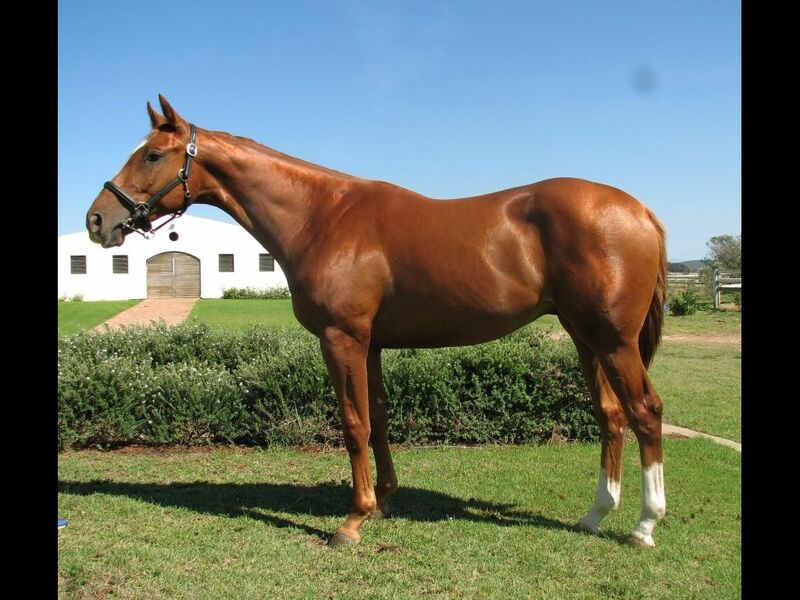 by Trippi-Tafra, by Redoute's Choice-Mexicana) - 1st Greyville Play the Bipot Maiden P.
Half-Brother to Kalahari Queen (2011.f. 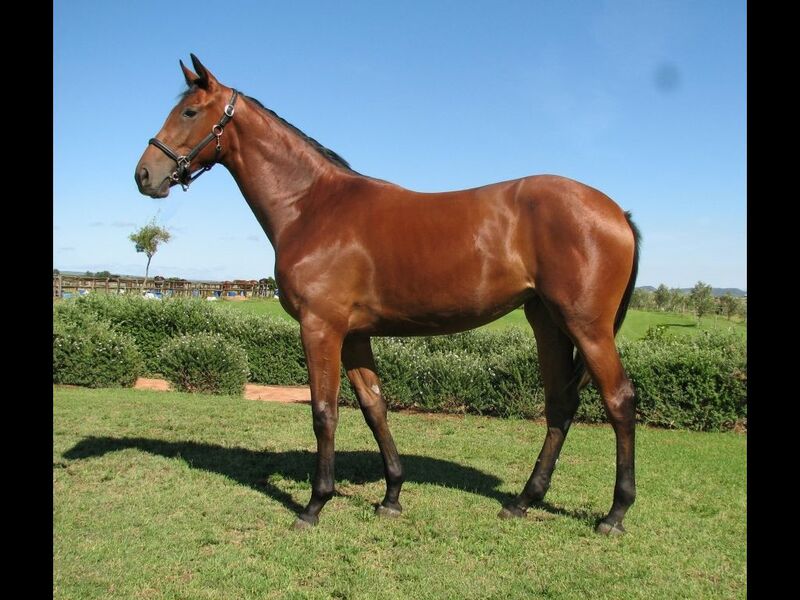 by Dynasty-Taking it Deep, by Bushmanland-Drama Pro) - 3rd Fairview Book a Table at Our Next Raceday H.
Half-Brother to Terepova (2012.f. by St. Petersburg-Teresina, by Jet Master-Goodgollymisspolly) - 3rd Turffontein Book a Table H.
From the same family as GREAT RUMPUS (2009.g. 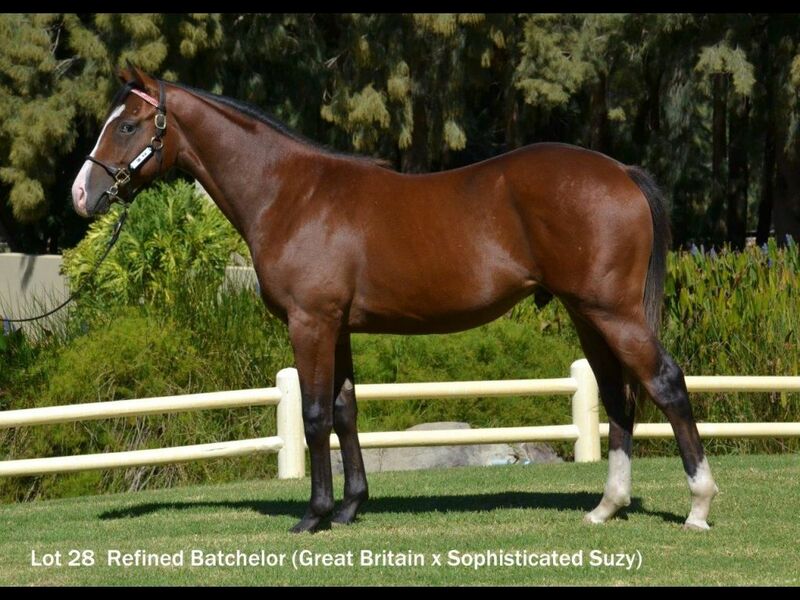 by Black Minnaloushe-Princess Polly, by Royal Chalice-Young Polly) - 1st Scottsville Itsarush.co.za S.
Out of a sibling to Led Zeppelin (2012.c. 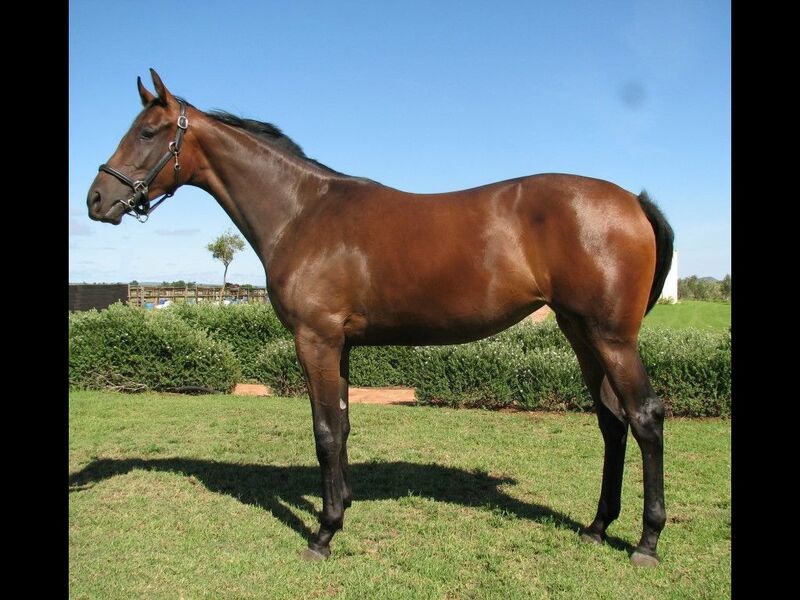 by Noordhoek Flyer-Fire Tread, by All Fired Up-Light Tread) - 1st Vaal Next Race Meeting is Thursday 10 Mar H.
From the same family as Joan Ranger (2012.f. 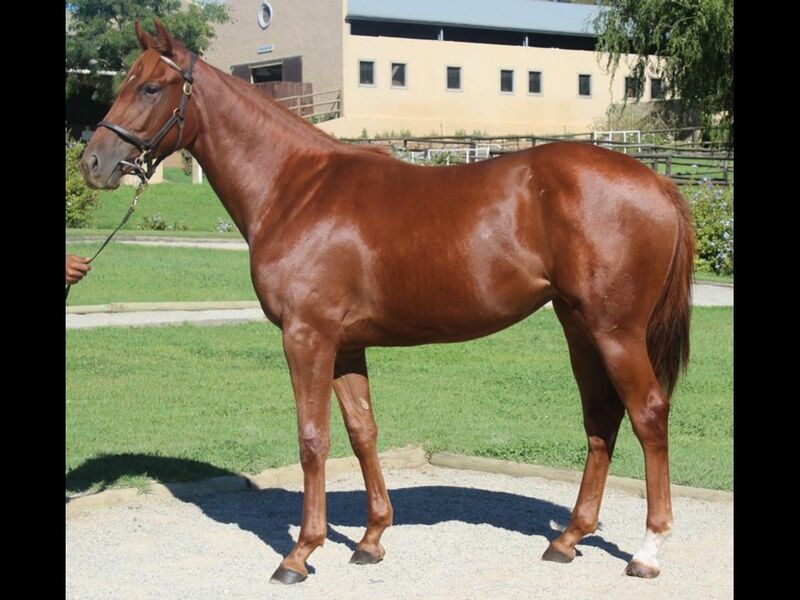 by Horse Chestnut-Fashion Edition, by Rambo Dancer-Shopping Around) - 1st Scottsville All to Come Graduation P.
Half-Sister to Myths and Legends (2012.f. by Argonaut-Tickle My Fancy, by Fort Wood-Fancy Halo) - 3rd Borrowdale Sarahdane Stud Maiden P.
From the same family as EIGHTH WONDER (2012.c. 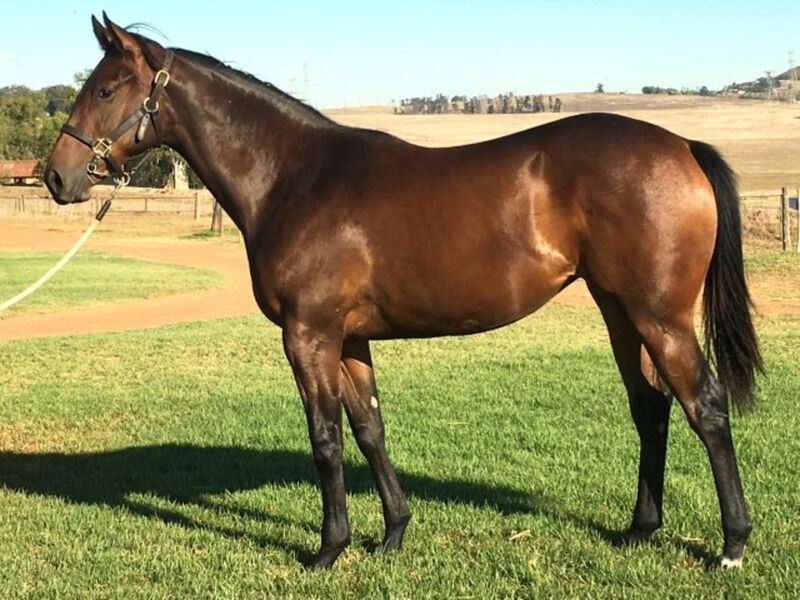 by Captain Al-Great Wall, by Fort Wood-West Wall) - 1st Kenilworth Prawn Festival on the 20th February Graduation P.
Half-Sister to Variance (2012.f. 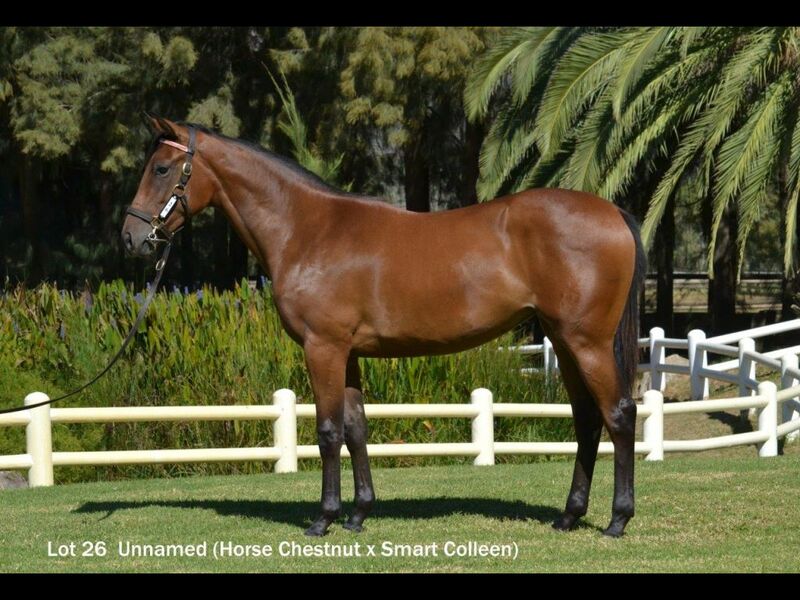 by Var-U Aintseenothinyet, by Goldmark-Foveros Song) - 2nd Durbanville Itsarush.co.za Maiden P.
Out of a sibling to Tripinthemist (2012.f. 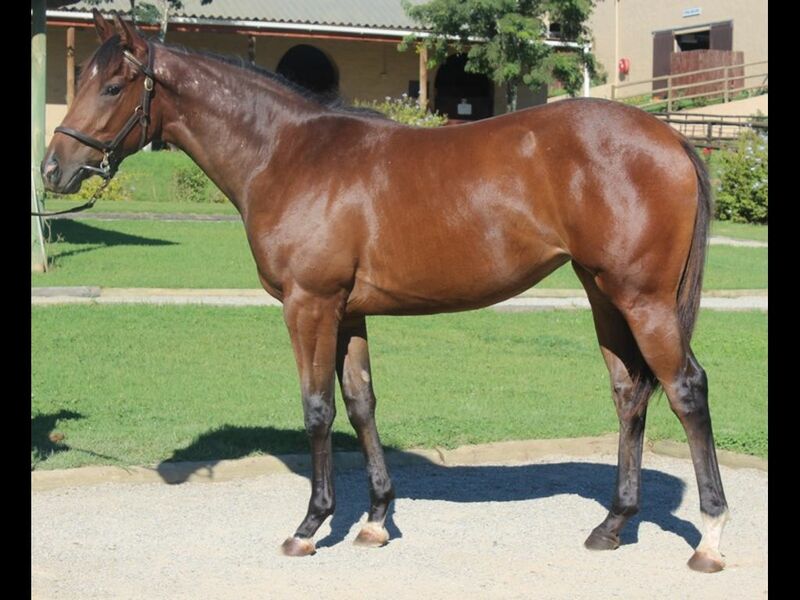 by Trippi-Kali Mist, by Rakeen-Fashing) - 1st Kenilworth Thank You for Your Support Maiden P.
From the same family as ABASHIRI (2012.c. 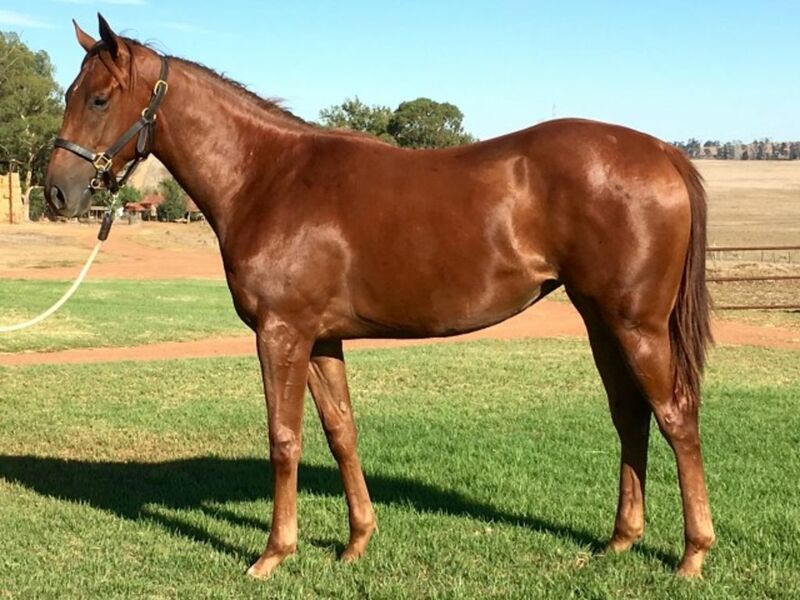 by Go Deputy-Donya, by Elliodor-Fashing) - 1st Turffontein Gauteng Guineas Gr.2, 1st Vaal Book a Table Graduation P.
Half-Sister to Chili Con Carne (2013.c. 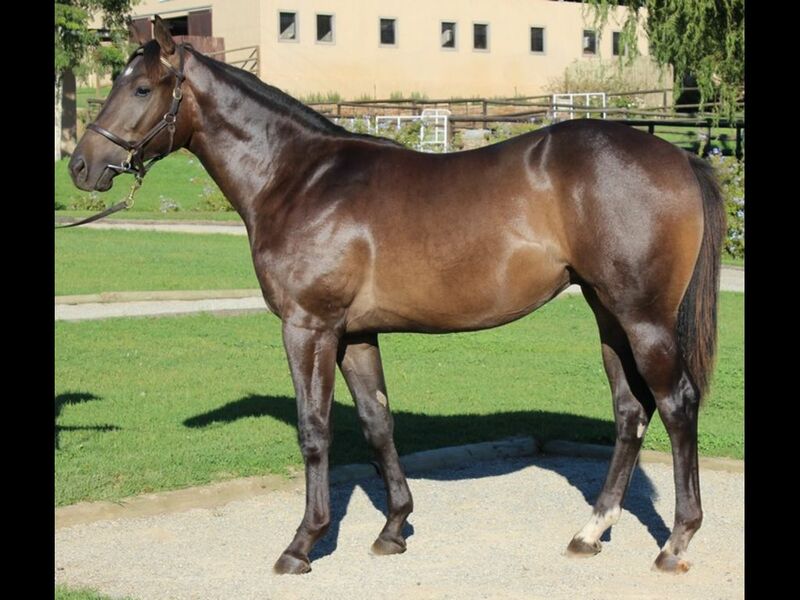 by Just as Well-Wonder Glow, by Windrush-Bella Hella) - 2nd Vaal All to Come Maiden Juvenile P.
Closely related to Safe Harbour (2013.f. 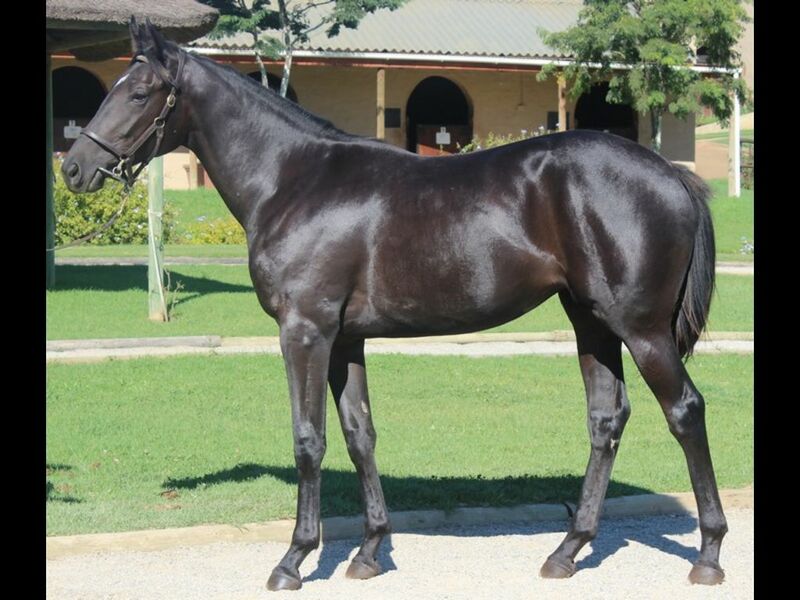 by Elusive Fort-Saint Isidore, by Rakeen-Saintly Lady) - 1st Vaal All to Come Maiden Juvenile P.
Half-Brother to Milly Million (2011.f. 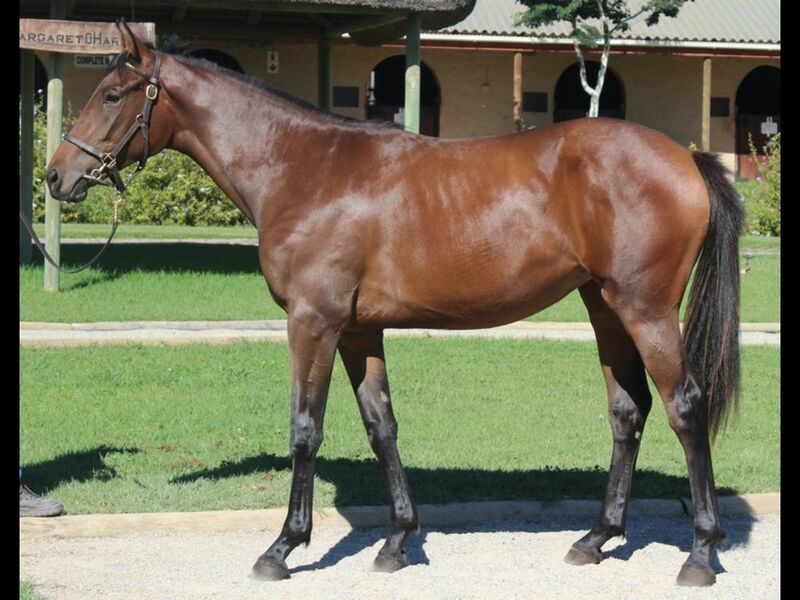 by Express Way-Belle Petite, by Lizard Island-Petite Dane) - 2nd Ngong Amani Sunbird H.
Half-Brother to Queenie (2013.f. 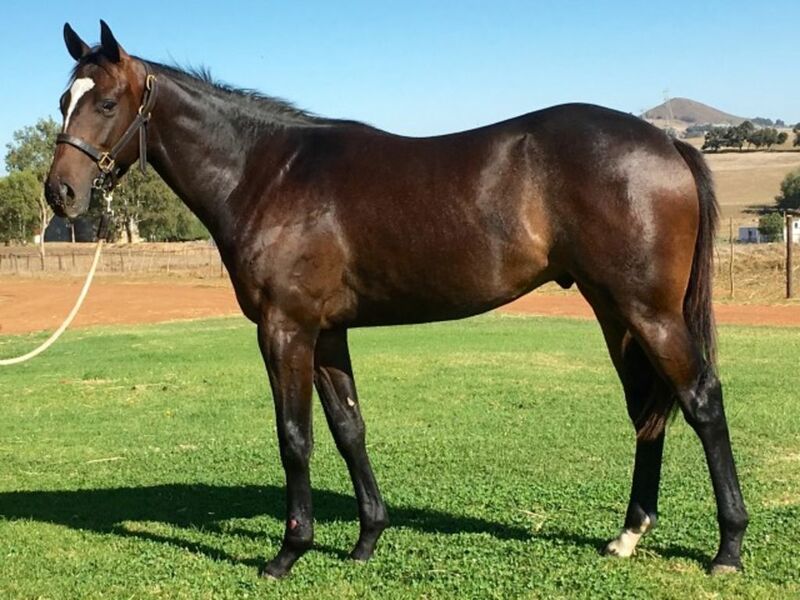 by Rebel King-Big Five Jive, by Tiger Dance-Nimiety) - 2nd Scottsville Download the SA Racing App Maiden Juvenile P.
Closely related to Peter Piper (2010.c. 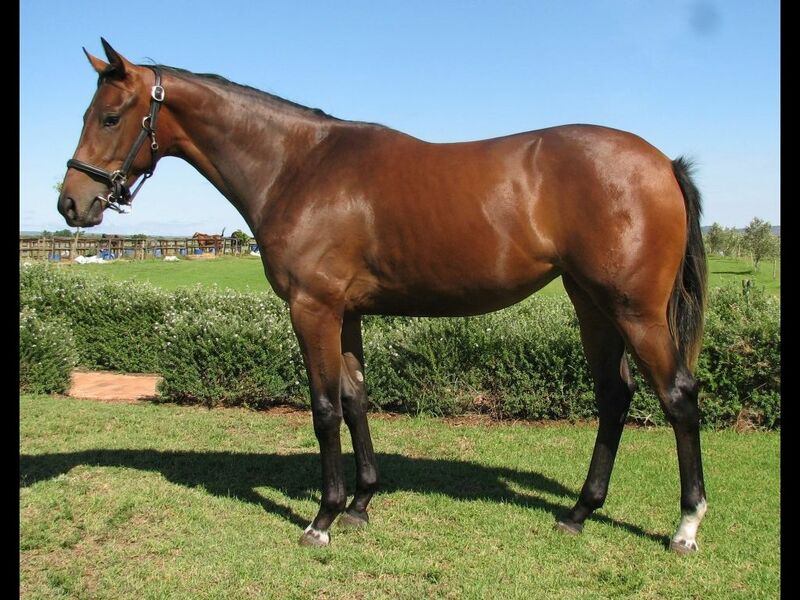 by Jet Master-Pay the Piper, by Saumarez-Little Erna) - 1st Greyville Racing It's a Rush H., 1st Greyville Itsarush.co.za H.
Out of a sibling to Jet Intombi (2009.f. 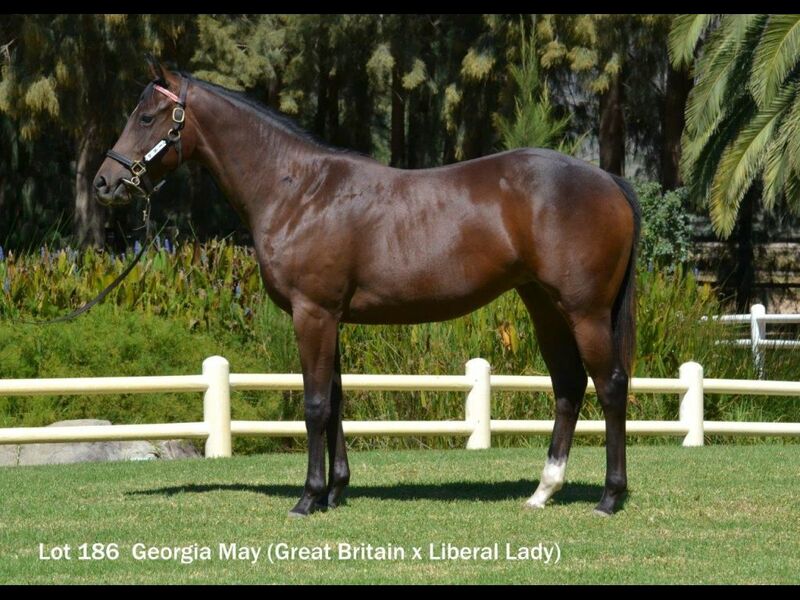 by Jet Master-Au Pair Girl, by Model Man-Judy Jones) - 1st Greyville Kidzone H., 1st Greyville Gravity Splash H.
Half-Brother to Rock on Geordies (2012.c. 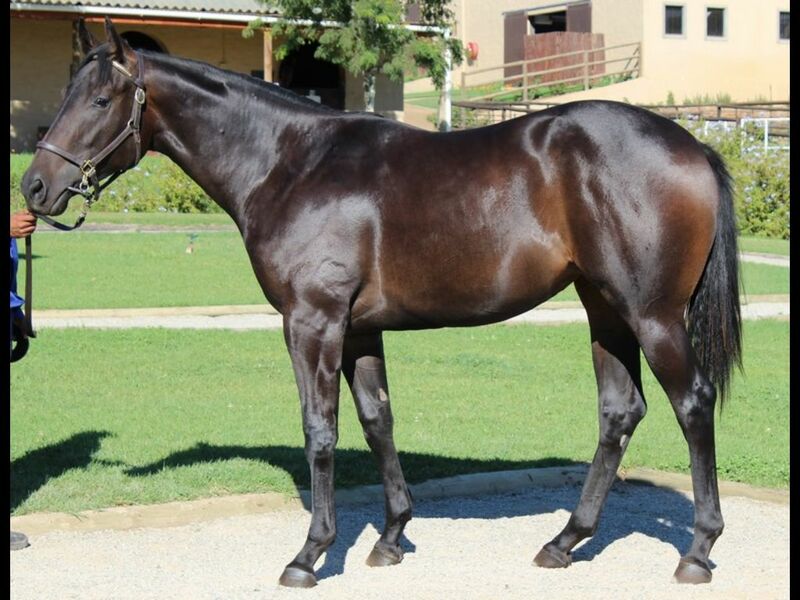 by Seventh Rock-Butterfly World, by Strike Smartly-Lucinda) - 3rd Durbanville Itsarush.co.za Maiden P.
From the same family as By Jove (2011.f. 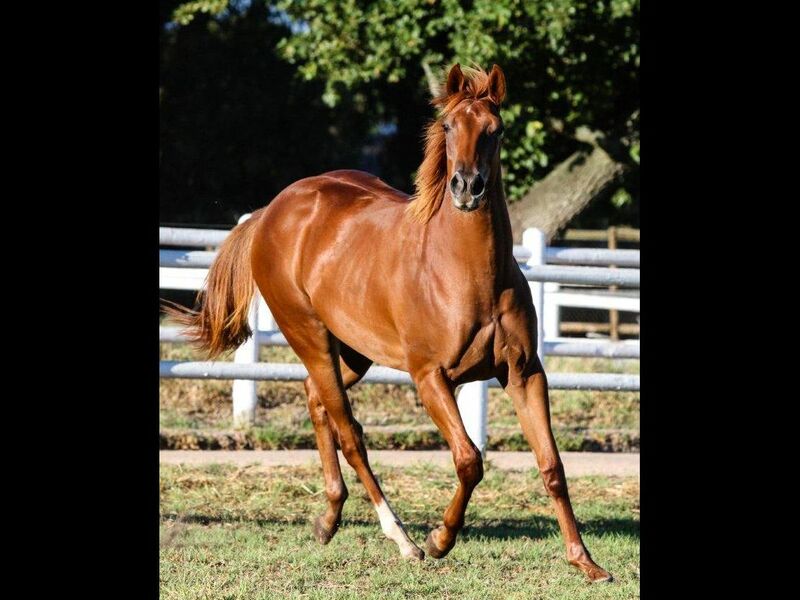 by A. P. Answer-Typhoon Ruby, by Divine Force-Opal Queen) - 1st Vaal Free Kids Entertainment 27 Feb H.
Half-Sister to Nawra (2012.c. 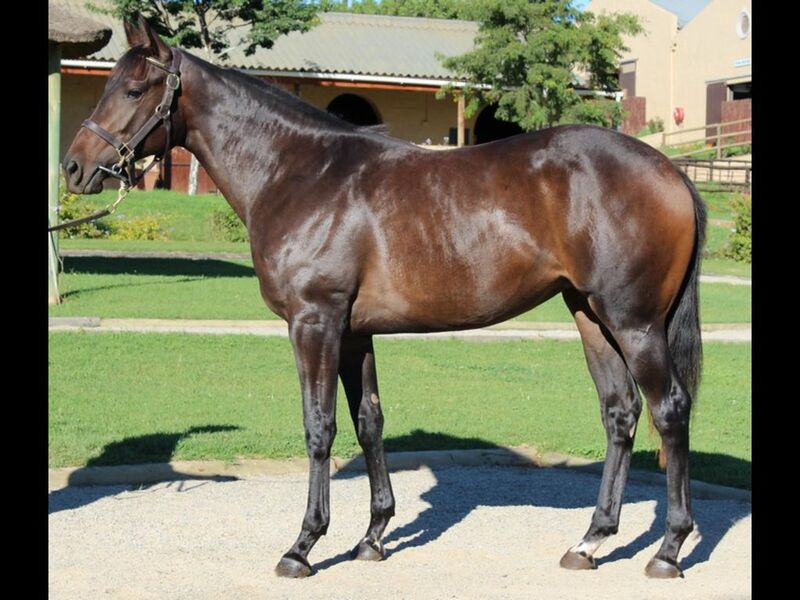 by Kildonan-Cape Lilac, by Fort Wood-Super Sussex) - 3rd Turffontein Maiden P.
Closely related to Musical Romance (2012.f. 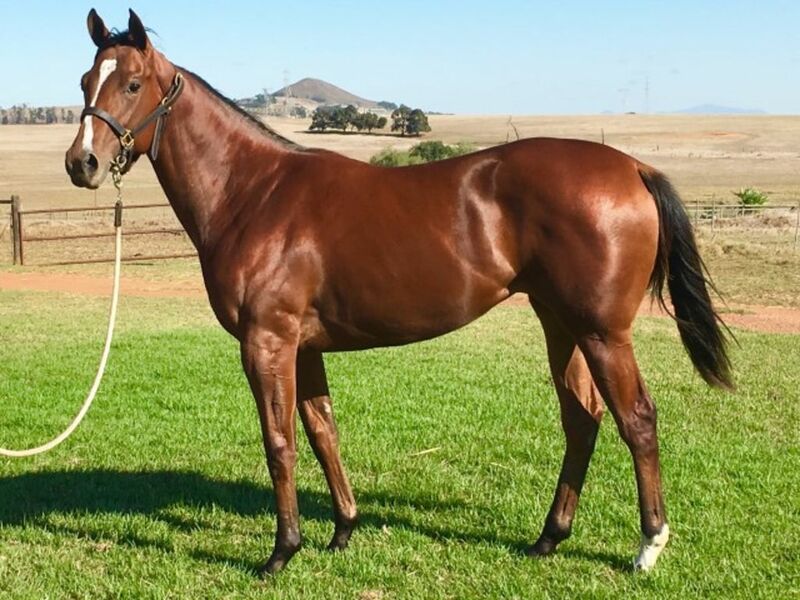 by Trippi-Ribbons for Thee, by Captain Al-Main Emblem) - 1st Vaal Johannesburg Prawn Festival 27 February Maiden P.
Half-Sister to Charock (2012.c. 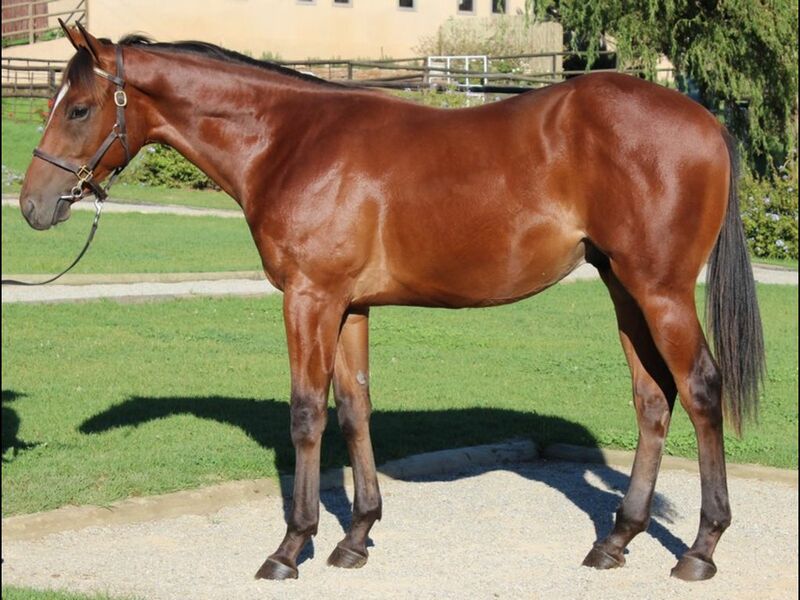 by Seventh Rock-Charming Chestnut, by National Assembly-Enchant d'Or) - 3rd Fairview All to Come Maiden P.
Half-Brother to Razzle My Tazzle (2011.f. by Carpocrates-Countess Andora, by Count Dubois-Andrea Dora) - 2nd Griqualand Book a Table H.
Half-Sister to Put the Berries (2012.f. 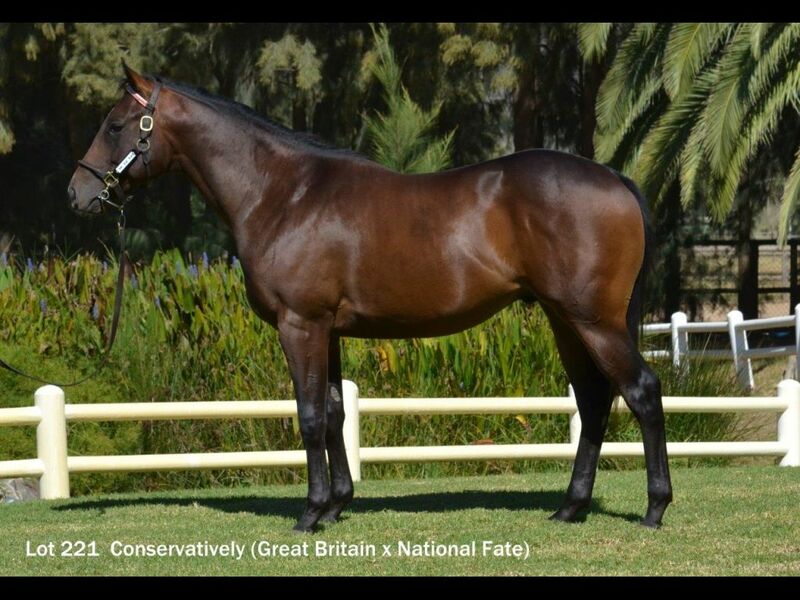 by Royal Air Force-Crescent Lily, by Counter Action-Foxy Drums) - 2nd Kenilworth Tytec Maiden P.
Closely related to Joan Ranger (2012.f. 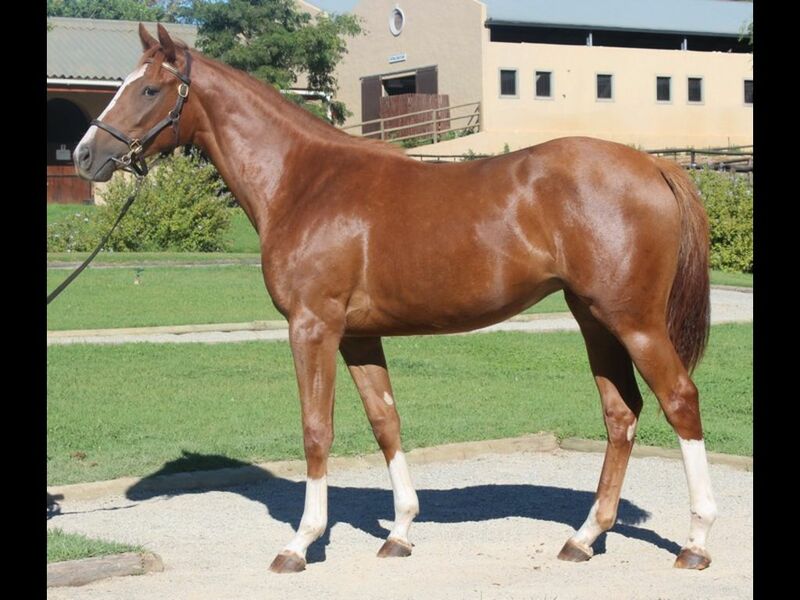 by Horse Chestnut-Fashion Edition, by Rambo Dancer-Shopping Around) - 1st Scottsville All to Come Graduation P.
Sister to King of Babylon (2011.g. 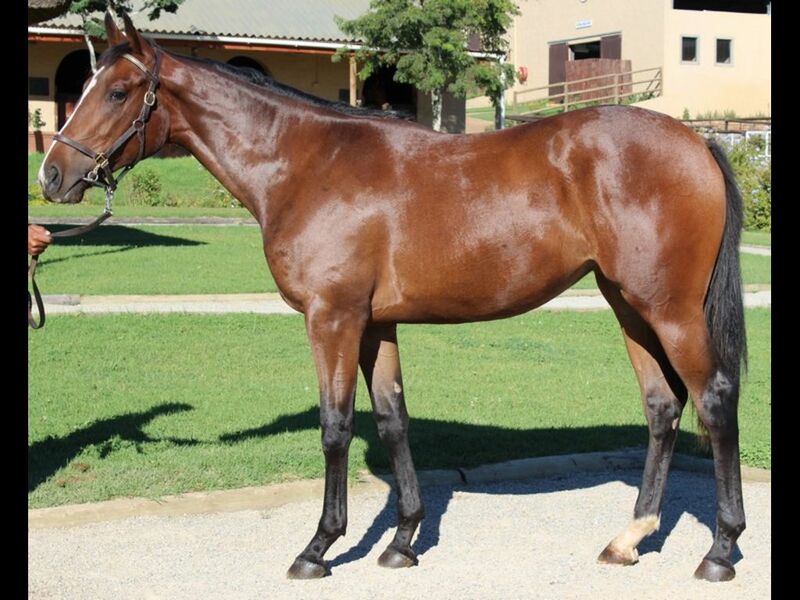 by Rebel King-Fiery Spirit, by Goldmark-Miss Conduct) - 3rd Kenilworth Bishops Cricket Maiden P.
Half-Sister to SARVE (2011.f. 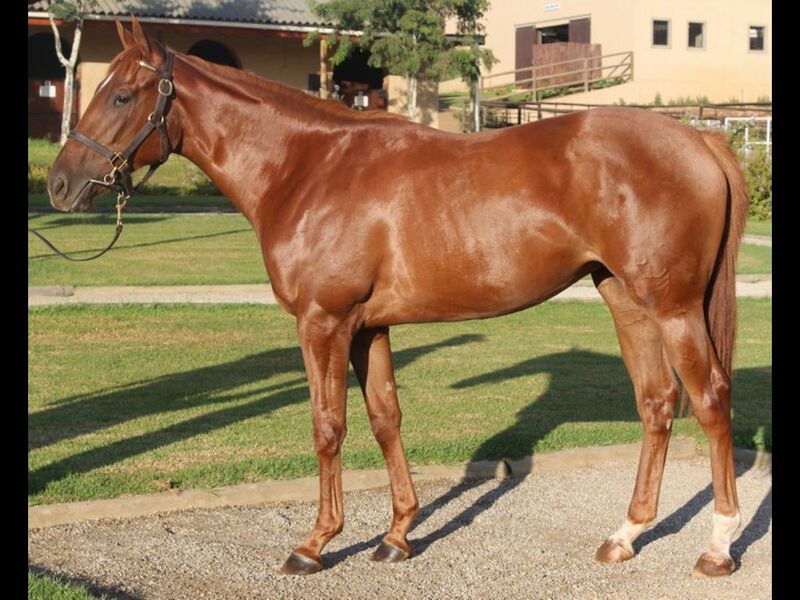 by Sarge-First Wave, by Waldoboro-Fealty) - 1st Griqualand Racing It's a Rush S.
Half-Sister to Firing Queen (2011.f. 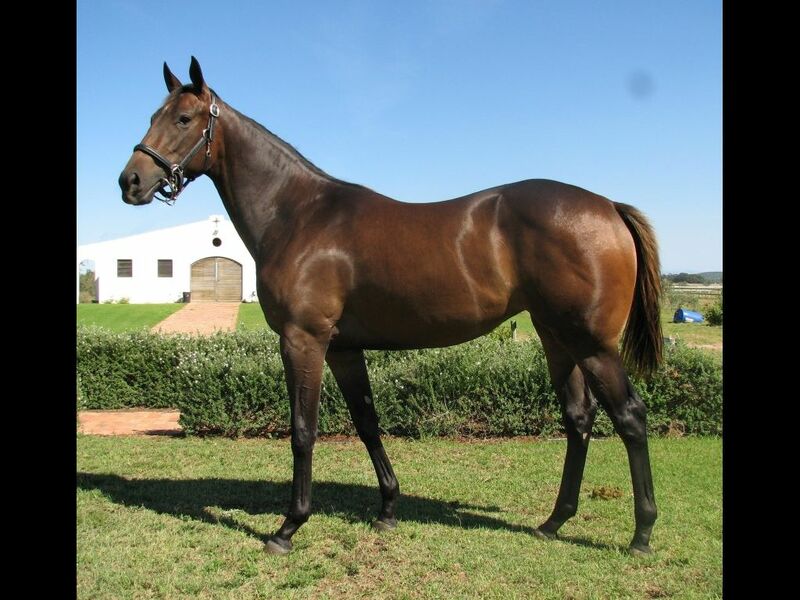 by Rebel King-Fit and Firing, by Sapieha-Privileged Guest) - 1st Fairview Next Race Meeting is Friday 04 Mar H.
Half-Sister to King's Fire (2012.f. 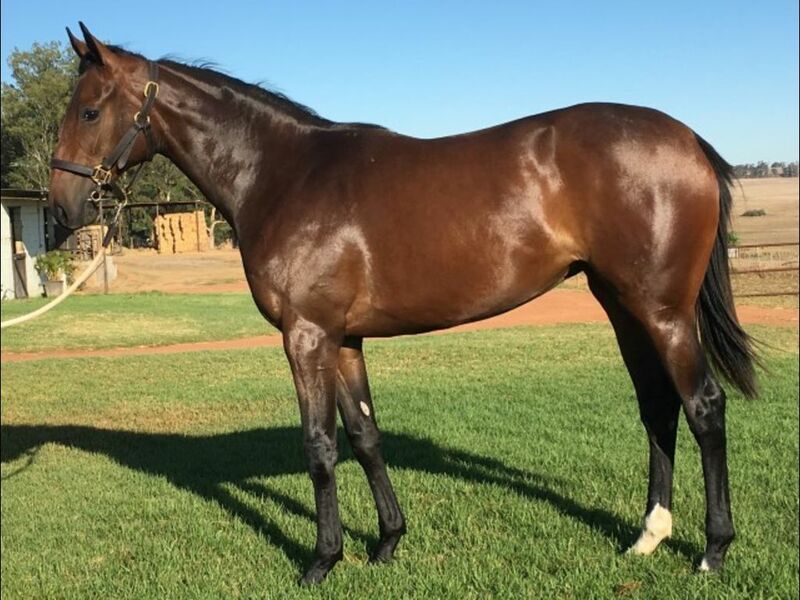 by Rebel King-Fit and Firing, by Sapieha-Privileged Guest) - 2nd Fairview Book a Table at Our Next Raceday H.
Half-Sister to Captains Slipper (2010.g. by Captain Al-Giant's Slipper, by Giant's Causeway-Burst) - 1st Fairview Racing Association H.
Half-Sister to Cause Celebre (2012.f. 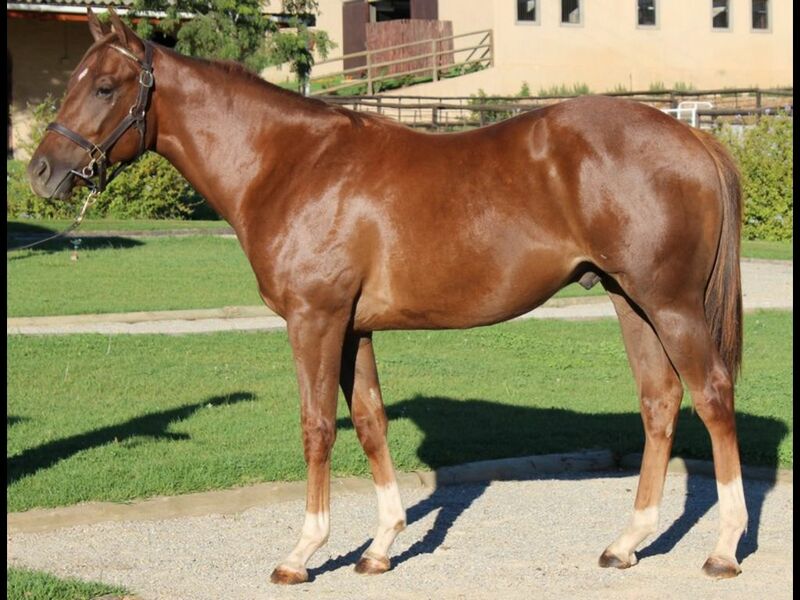 by Argonaut-Giant's Slipper, by Giant's Causeway-Burst) - 2nd Scottsville Scotty's Plant Hire Maiden P.
Half-Sister to Rebel's Burst (2013.f. 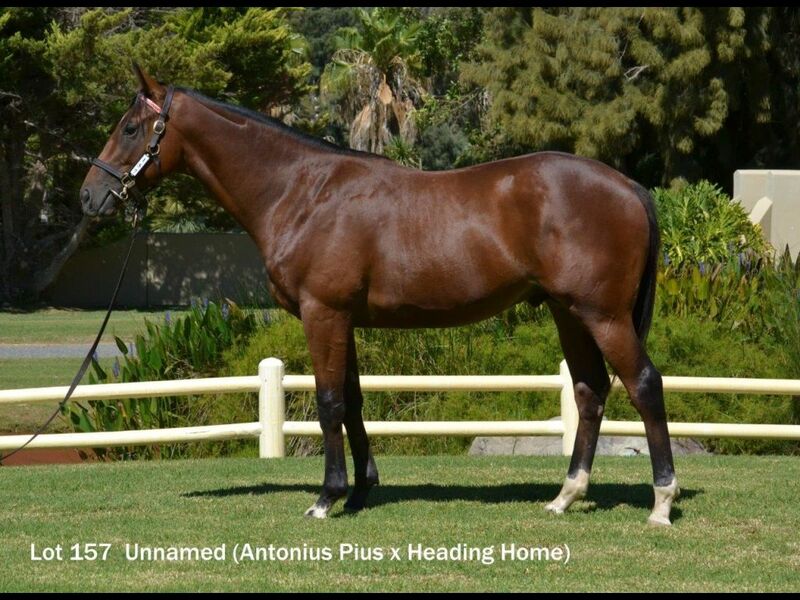 by Rebel King-Giant's Slipper, by Giant's Causeway-Burst) - 2nd Durbanville Maiden Juvenile P.
Closely related to Platinum Express (2012.f. by Showcasing-My Other Woman, by Fusaichi Pegasus-Burst) - 1st Marton JC Agricom H.
Half-Sister to Haizi's Daizy (2012.f. 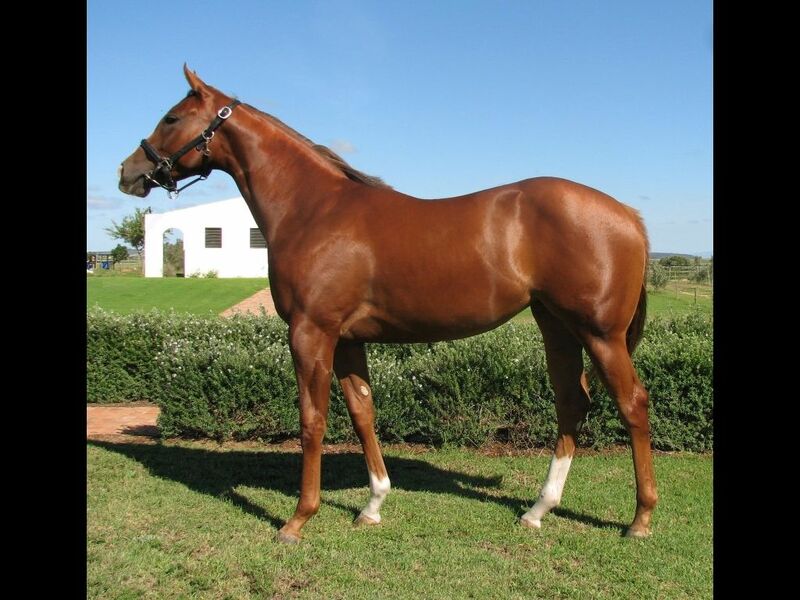 by Rebel King-Haizi, by Kahal-Royal Princess) - 1st Fairview Book a Table at Our Next Raceday H., 3rd Fairview Rugby 5 H.
Half-Sister to Tide is Turning (2012.f. 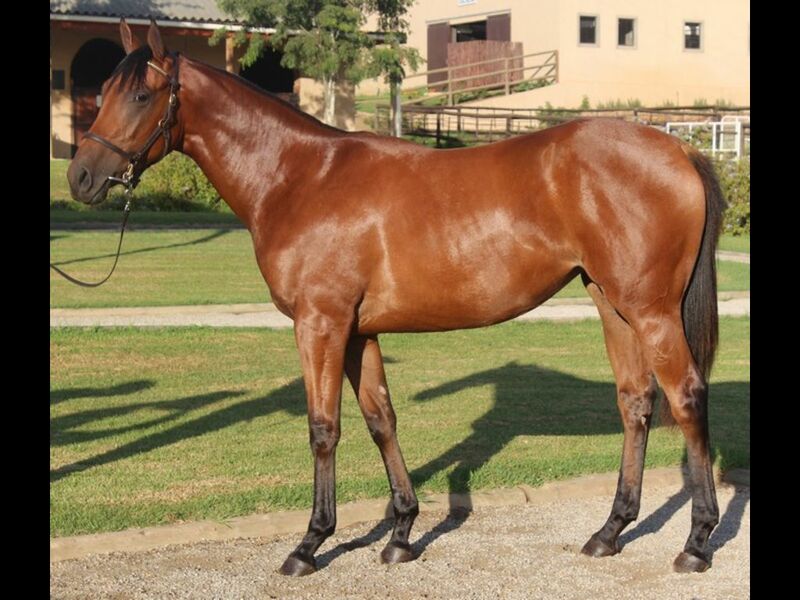 by Captain Al-Hope Johanna, by Johannesburg-Tangina) - 1st Kenilworth Quinte Plus Maiden P., 2nd Kenilworth Steve Phelps Memorial Maiden P.
Half-Sister to Rasta Rebel (2013.c. 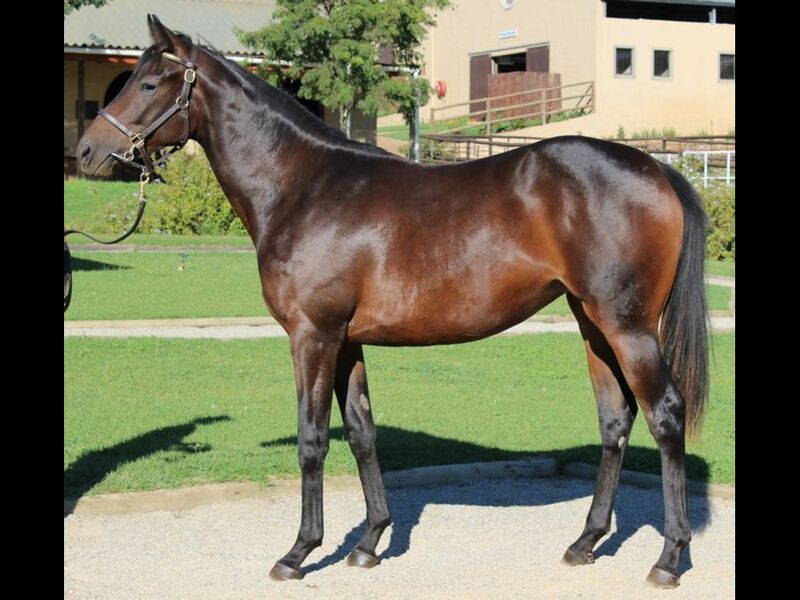 by Rebel King-Hope Johanna, by Johannesburg-Tangina) - 3rd Kenilworth Maiden Juvenile P.
From the same family as NEVER CAN TELL (2010.g. by War Pass-Chalee, by Storm Bird-Beribboned) - 1st Mt Barker TC 20-20 Swim for Jim H.
Closely related to Cataluga (2011.f. by Fort Beluga-Jeanre, by Cataloochee-Ramazotti) - 1st Turffontein Free Kids Entertainment 27 Feb H.
Out of a sibling to Crackpot (2011.f. 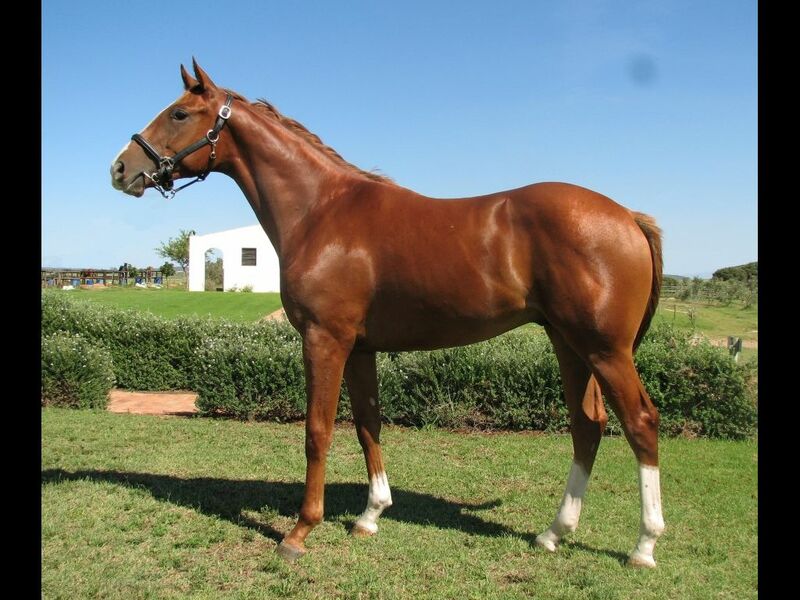 by Judpot-Nazca, by National Emblem-Sipan) - 1st Greyville Just a Wish Aluminium H.
Closely related to Bondiblu (2012.f. 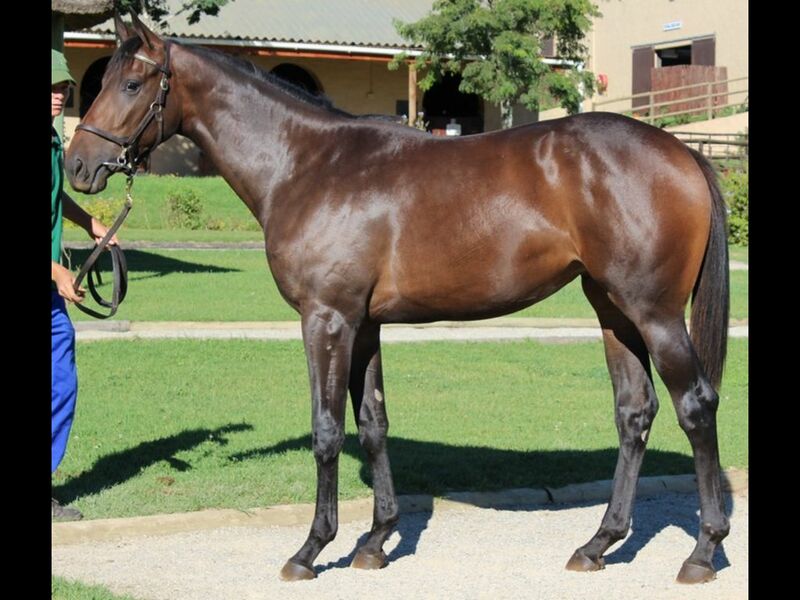 by Seul Amour-Blue Paradise, by Jallad-Jacaranda Lane) - 1st Turffontein Classic Day 02 April H.
Out of a sibling to MEMPHIS MAFIA (2012.c. 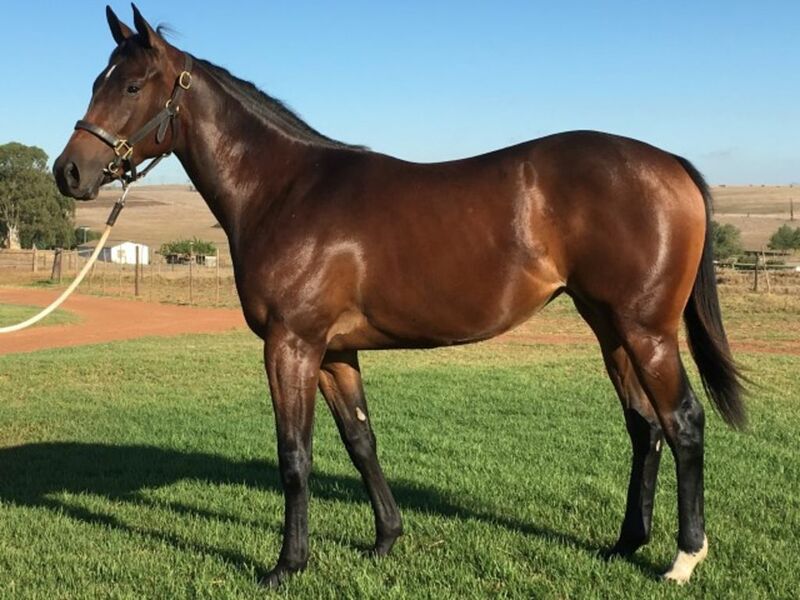 by Lecture-Olympic Special, by Special Preview-Olympic Creed) - 1st Fairview Ibhayi S. L, 1st Fairview Racing Association Sophomore P.
Half-Brother to Sunshine Lady (2012.f. 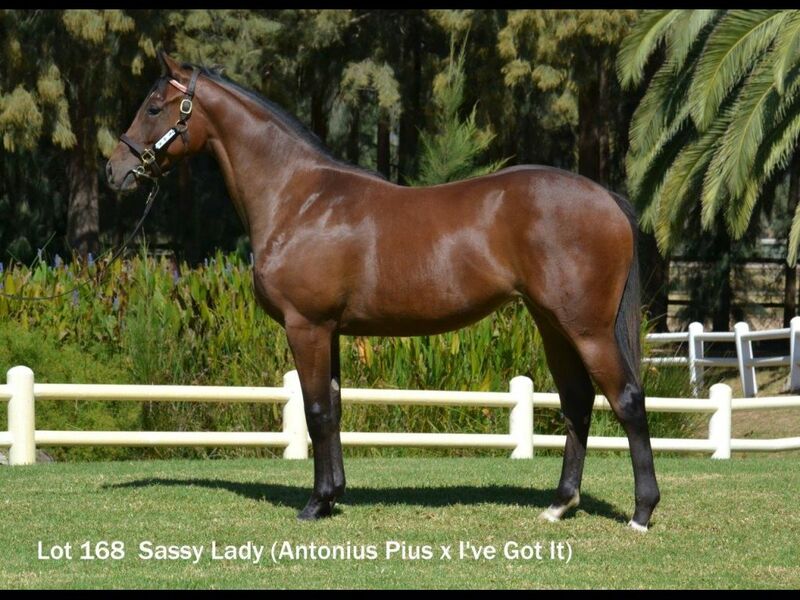 by Latino Magic-Lady Tibbs, by Casey Tibbs-Lady be Mine) - 1st Durbanville Racing It's a Rush Maiden P.
From the same family as AREZZO (2011.c. by Go Deputy-Alula, by Western Winter-Annie) - 1st Fairview Computaform Express Graduation P.
Half-Sister to Zavaroni (2011.f. 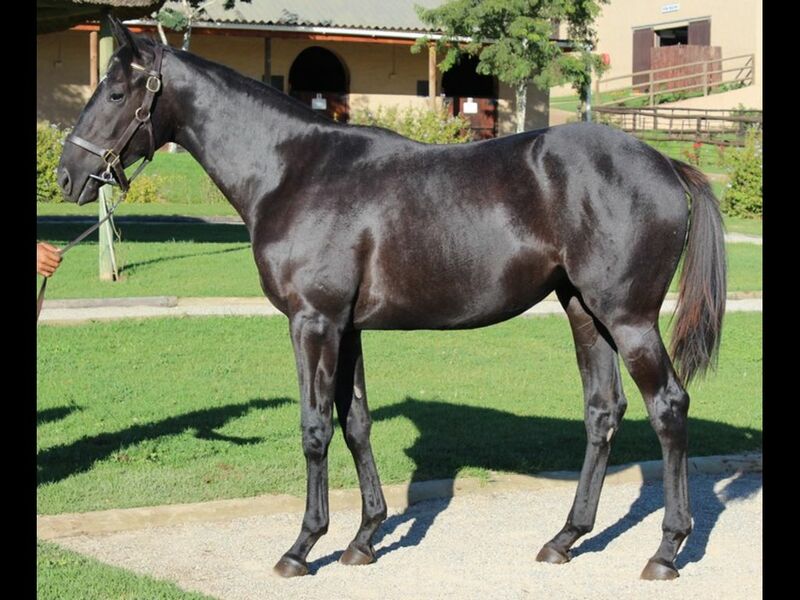 by National Emblem-Lena, by Woodman-More Than Willing) - 1st Greyville Kidzone H.
Half-Sister to Banderos (2012.c. 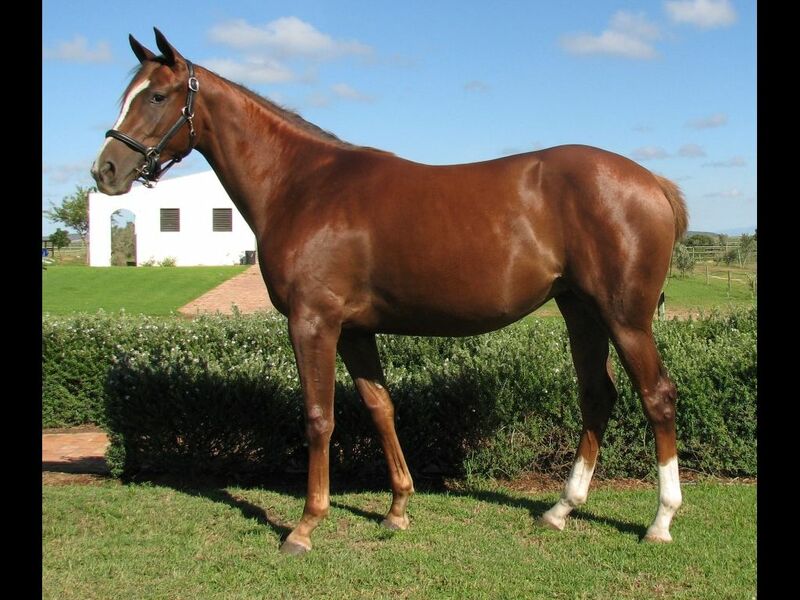 by Warm White Night-Lena, by Woodman-More Than Willing) - 2nd Durbanville Summer of Champions Maiden P.
Closely related to Donny G (2012.c. 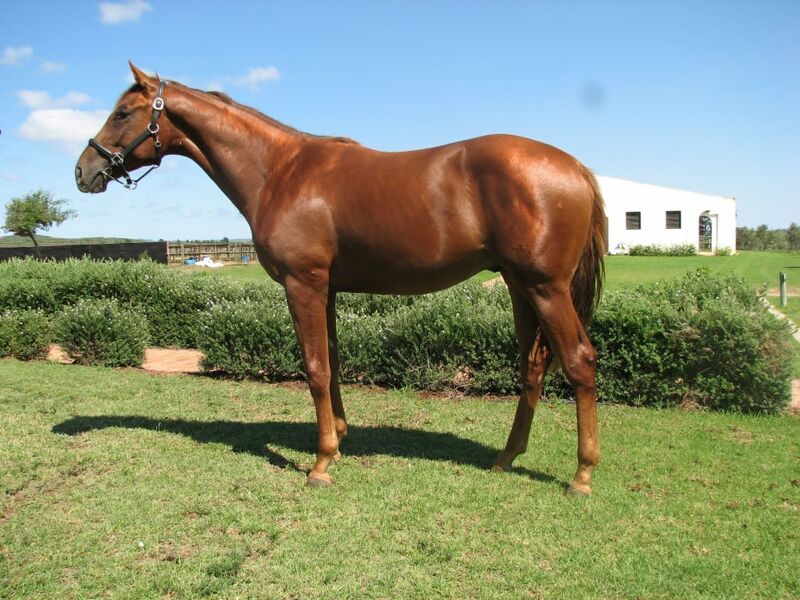 by Seventh Rock-Ladonna, by Kabool-Lena) - 1st Vaal Book a Table H.
Half-Sister to Lady Ming (2011.f. 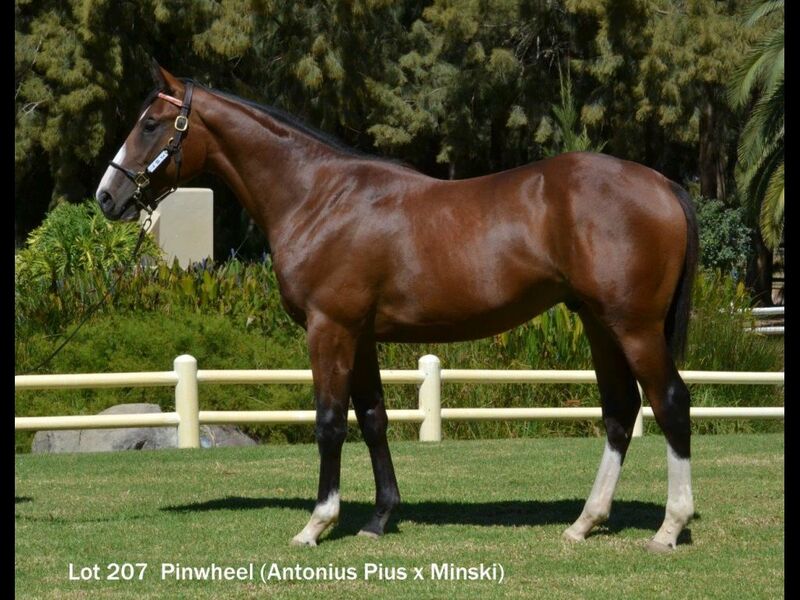 by Dynasty-Lizabella, by Sinndar-Lilissa) - 3rd Greyville Itsarush.co.za P.
Brother to Princess Analia (2013.f. 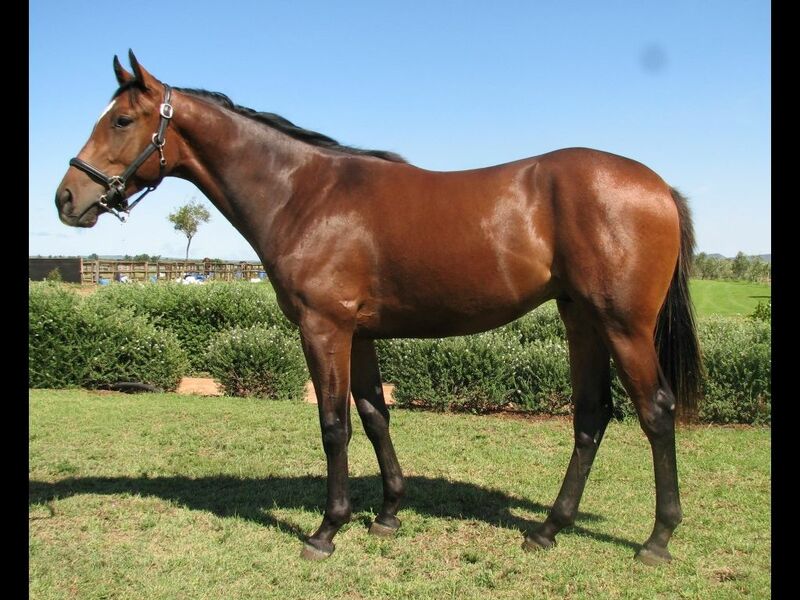 by Just as Well-Lodge of Dreams, by Grand Lodge-Lydara) - 2nd Greyville All to Come Maiden Juvenile P.
Half-Brother to House of Lorraine (2010.f. 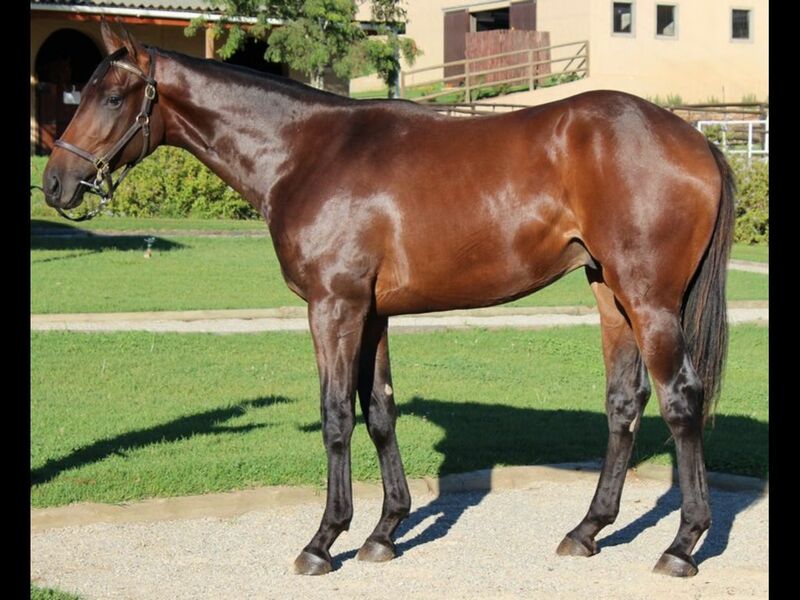 by Dynasty-Lorraine, by Doowaley-Popular Girl) - 3rd Fairview Racing It's a Rush S.
Half-Brother to Thunderwood (2012.g. 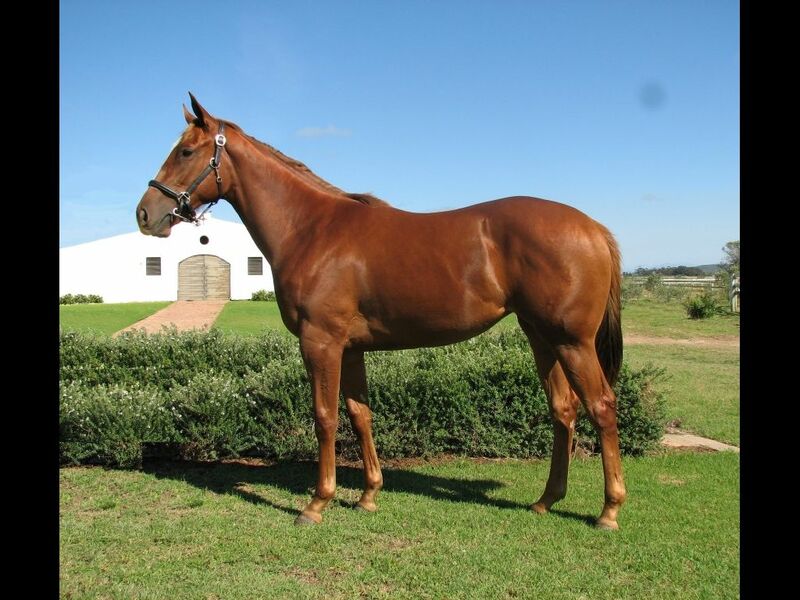 by Horse Chestnut-Lorraine, by Doowaley-Popular Girl) - 2nd Greyville Braai Zone H.
Out of a sibling to Mythical Magic (2012.f. 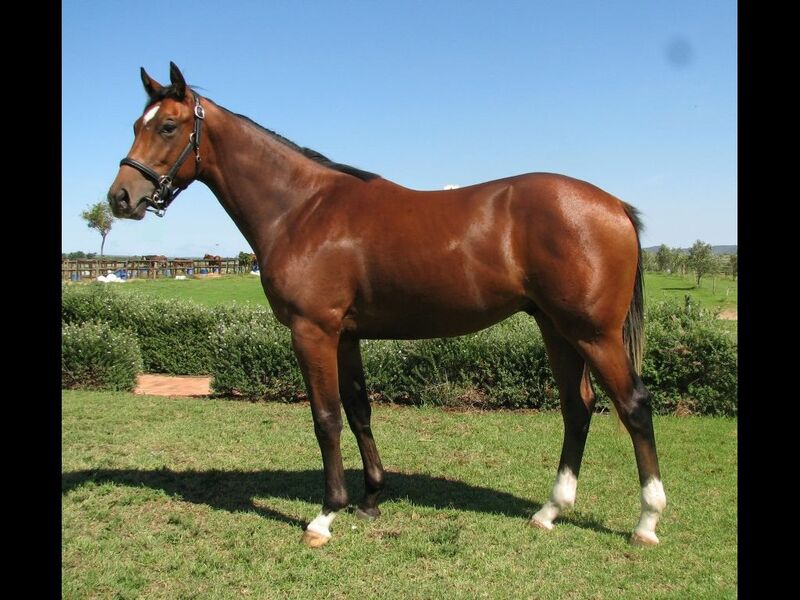 by Silvano-Magic in the Air, by Sadler's Wells-Multimara) - 1st Vaal Champions Day 30 April Maiden P.
Half-Sister to MY EMBLEM (2012.f. 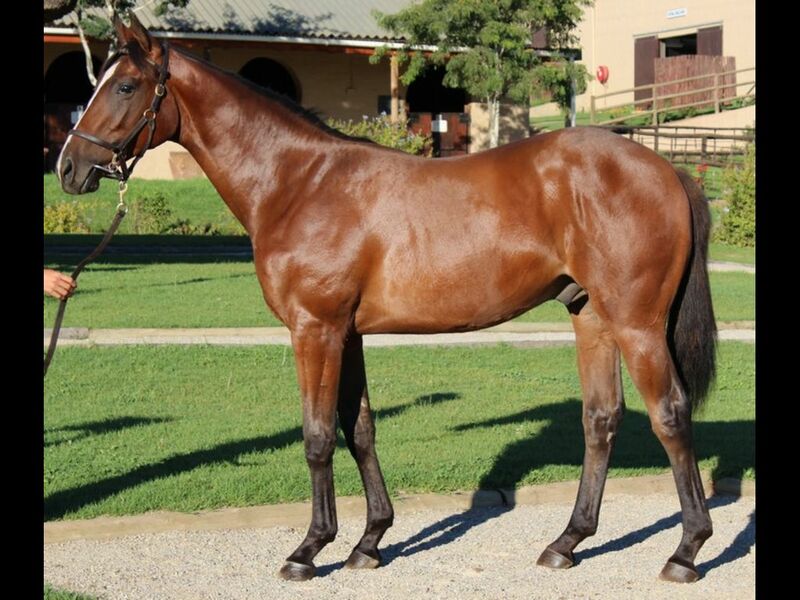 by National Emblem-Me 'n You, by Captain Al-Snooze U Lose) - 3rd Kenilworth Midas H.
Half-Brother to Nozipho (2010.f. by Imperial Stride-Minski, by Jallad-Muscovy) - 2nd Ngong Nguruman Escarpment H., 3rd Ngong Ultra Sharp H.
From the same family as Zavaroni (2011.f. 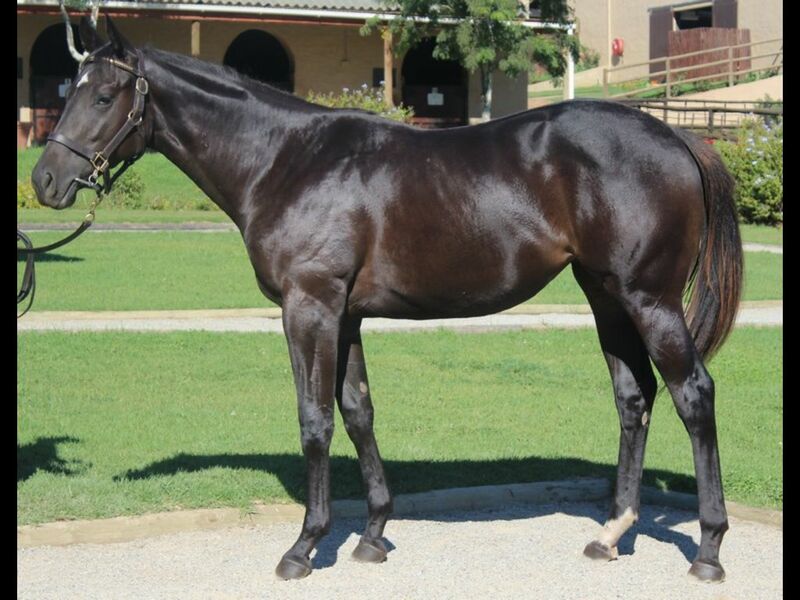 by National Emblem-Lena, by Woodman-More Than Willing) - 1st Greyville Kidzone H.
Out of a sibling to Chasing Dreams (2010.f. 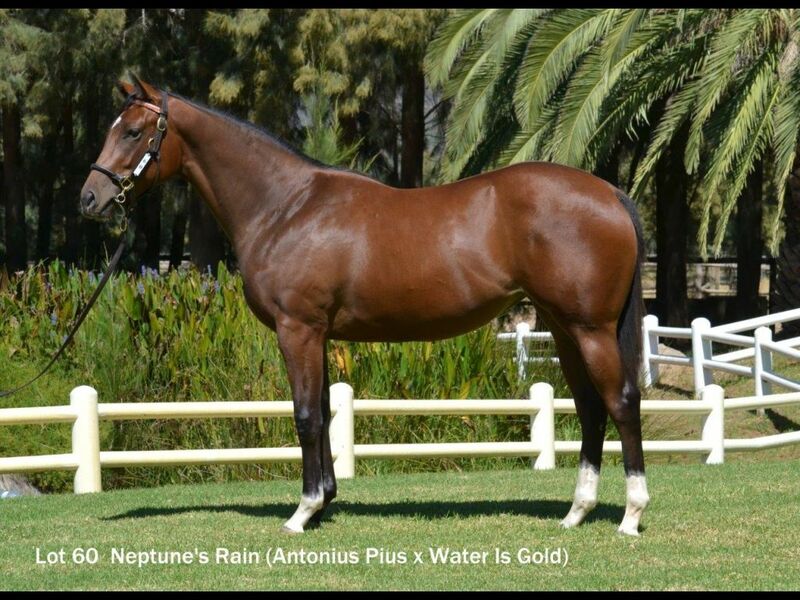 by Rebel King-Westport, by West Man-Aquasarto) - 1st Durbanville Thank You for Your Patronage H.
Half-Sister to Crackpot (2011.f. 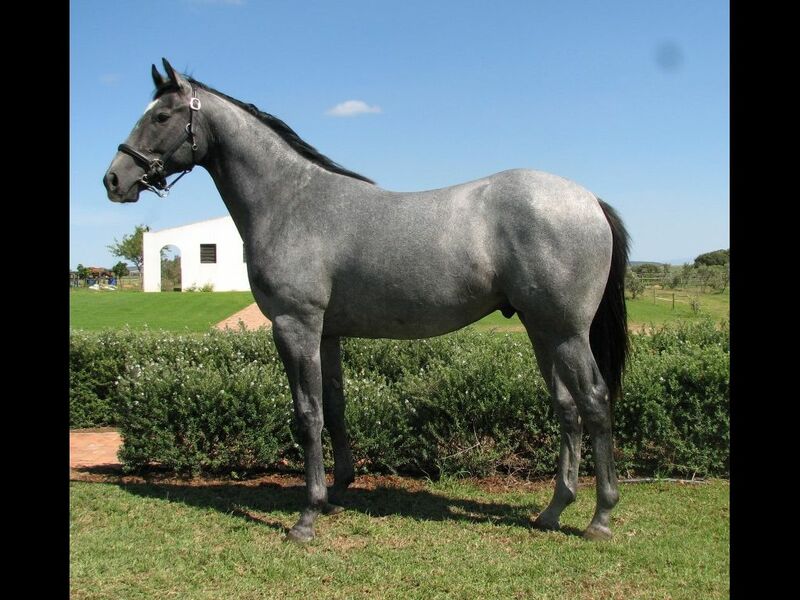 by Judpot-Nazca, by National Emblem-Sipan) - 1st Greyville Just a Wish Aluminium H., 3rd Greyville Racing It's a Rush H.
Out of a sibling to Shogun (2012.c. 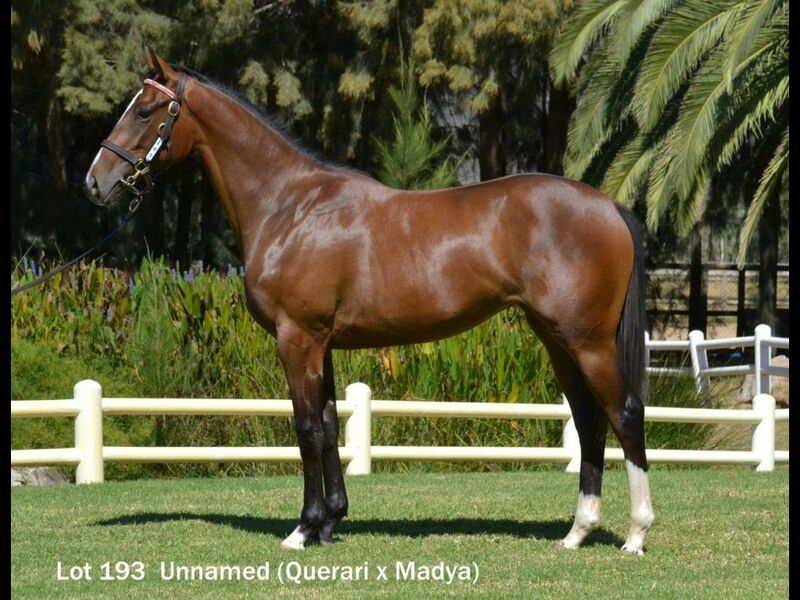 by Dynasty-Oceana, by Elliodor-Aquasarto) - 1st Greyville Keep it Cool Maiden P.
Half-Sister to Devil in Command (2013.c. by Great Britain-Nutcracker Sweet, by Albert Hall-Sweet Natasha) - 3rd Borrowdale Pin Turn Maiden Juvenile P.
Sister to Adorada (2012.f. 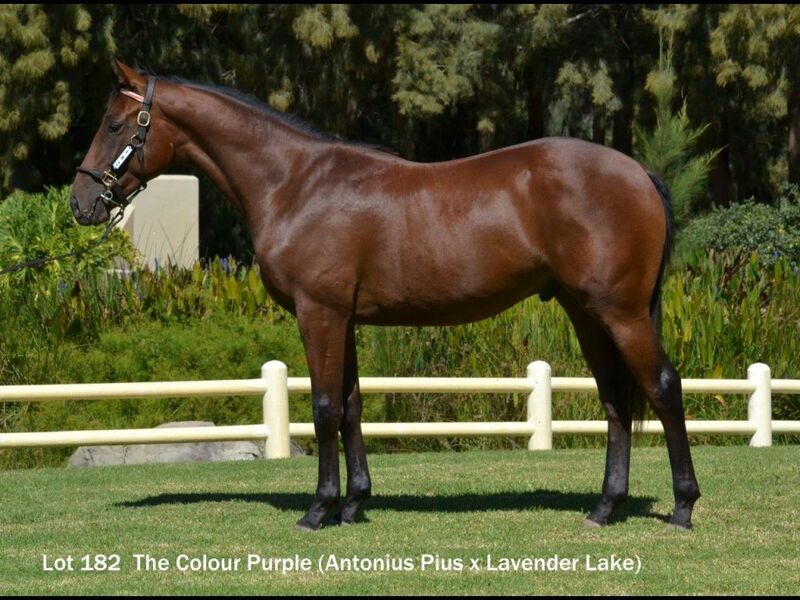 by Alado-Our Princess, by Western Winter-Countess Alexis) - 2nd Kenilworth Hudson's H.
Half-Brother to Seventh Heart (2011.f. 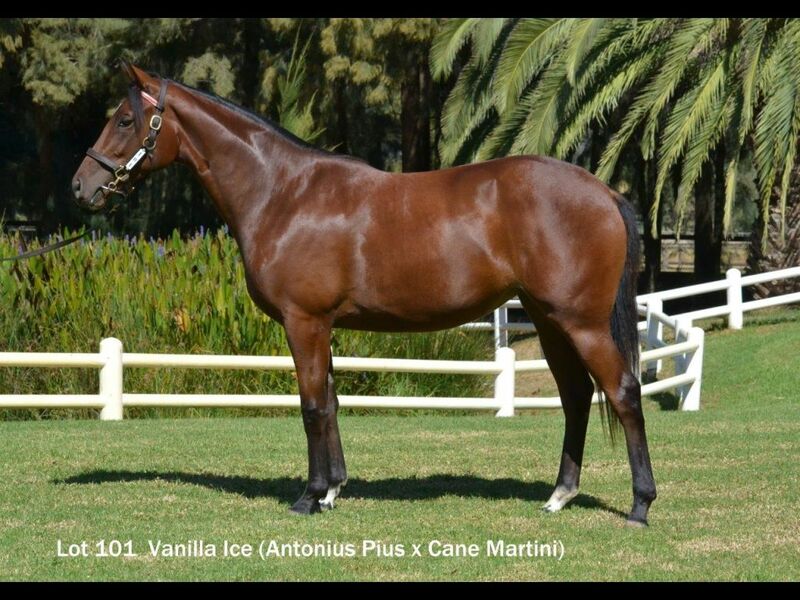 by Seventh Rock-Pacific Lights, by Al Mufti-Lightning Sands) - 2nd Vaal Racing It's a Rush H.